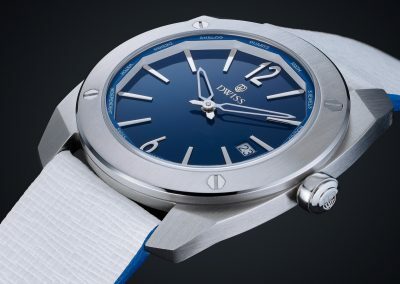 DWISS was founded in 2011 by Rafael Simoes Miranda, a watch designer since 2006. 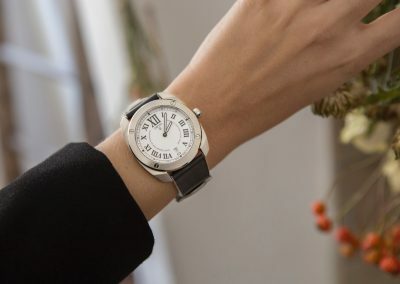 Rafael has done designs for over 15 brands of watches and is a winner of numerous design awards. 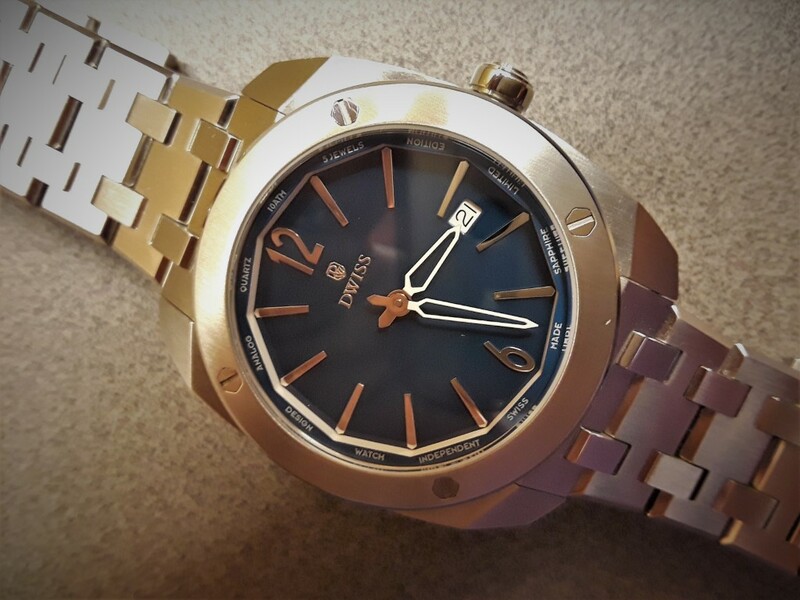 Nothing seems more appropriate than an experienced watch designer going forward with his own watch brand in Switzerland, the world’s center of fine watch manufacturing. 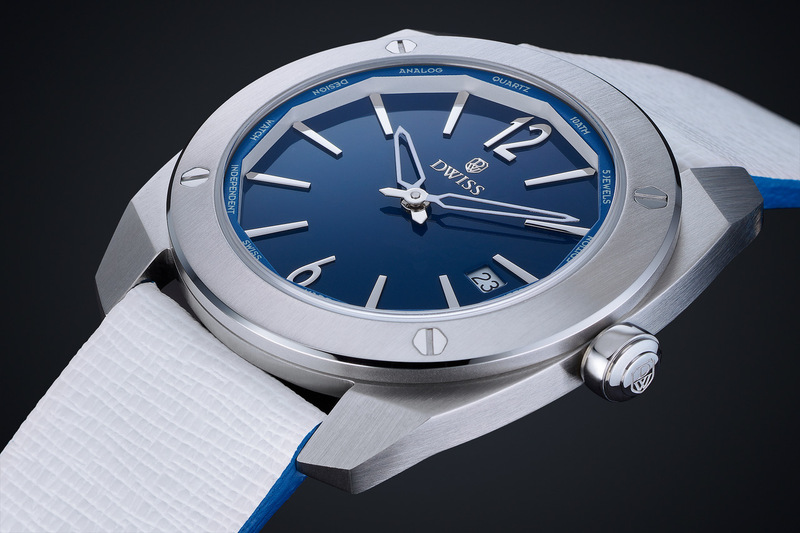 DWISS is the acronym for Design Watch Independent Switzerland. 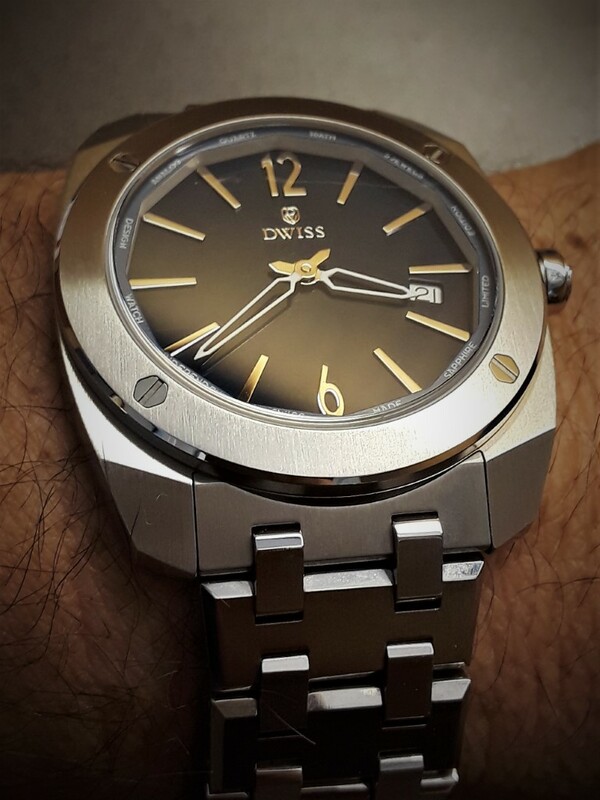 For this review I have two of DWISS’s quartz watches. 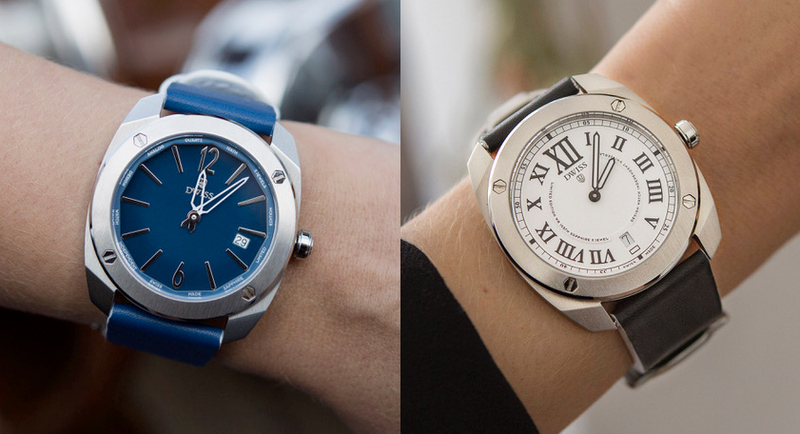 Both watches use the same case and movement with a different face, hands and date position. In these watches the movement chosen is the Ronda 714, a 5 jewel quartz movement with date, hour and minutes hands, but no second hand. Deciding on a quartz movement without a second hand is a smart decision, because the watch does not appear to be quartz. 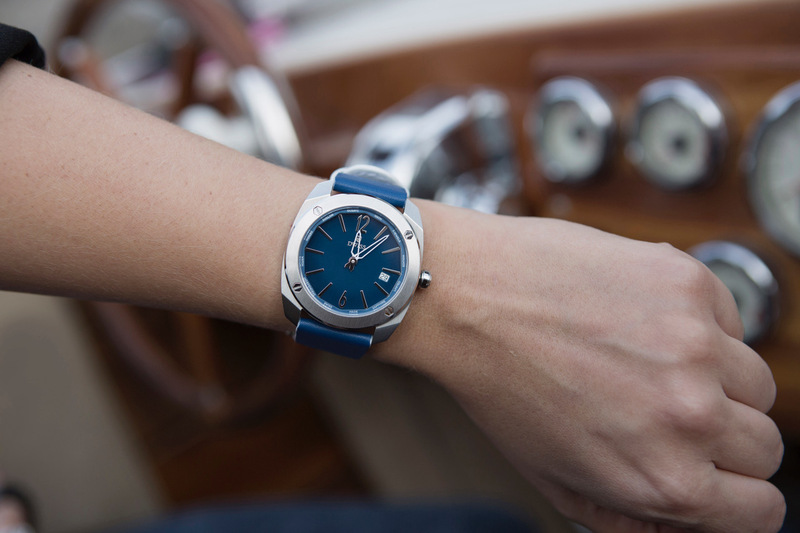 In addition, you can depend on the watch being ready to wear at a moment’s notice. 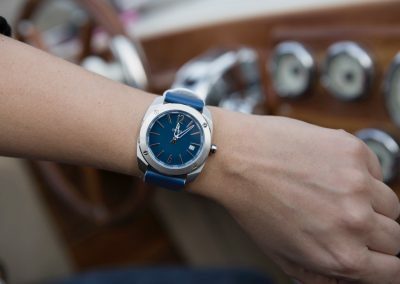 These are not delicate special occasion watches, since both have sapphire crystals with a/r, screw down, fully engraved case backs and are rated 10 ATM water resistance. The cases of these watches are carefully and superbly designed and finished in 316L stainless. 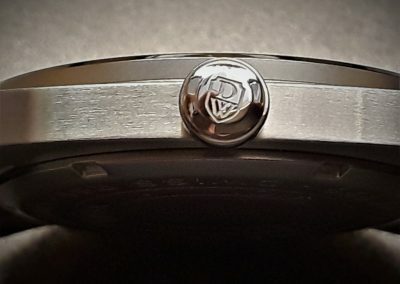 Both cases have a completely brushed finish with four flush, slotted, hexagonal, polished head screws in the face of the round, polished edge bezel. The screws are very similar to those seen in the designs of the Audemars Piguet Royal Oak. 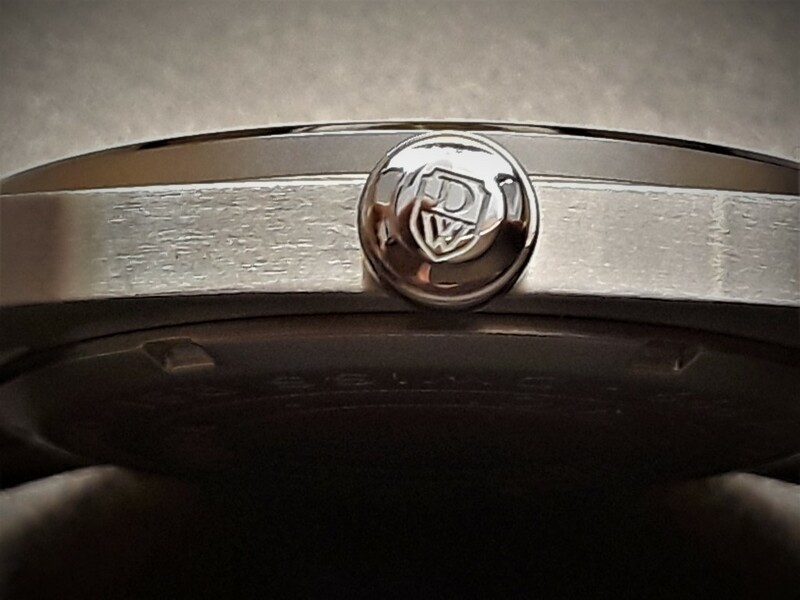 I prefer the round bezel used by DWISS over the octagonal design used by A/P, a design that is considered iconic by many luxury watch owners. 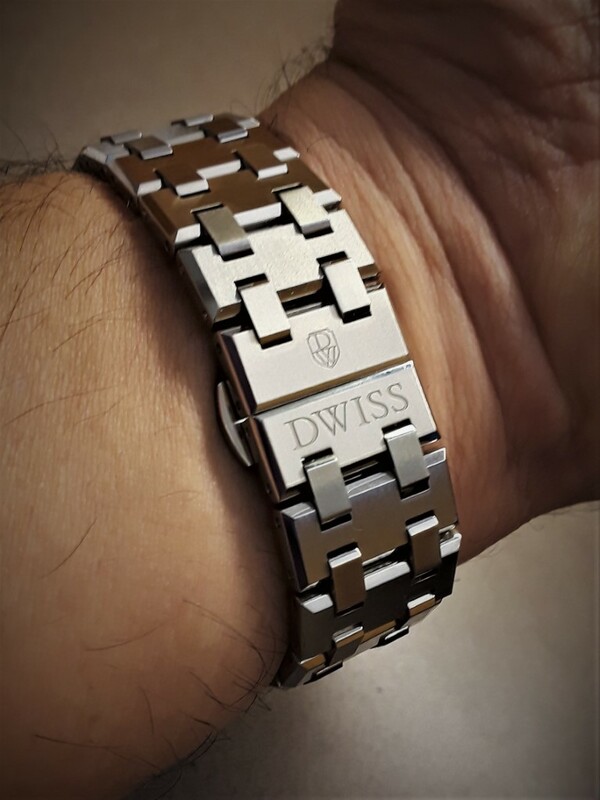 In addition, the DWISS watches are available with a stunning stainless bracelet, similar to the design used by A/P. 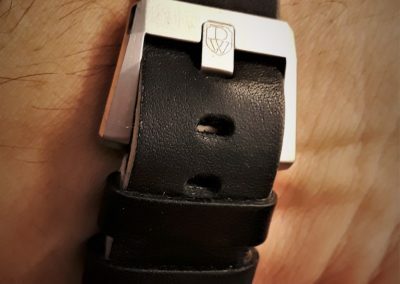 The stainless bracelet is on my example of the RS1-SL-Quartz while the example I have of the RC1-SW-Quartz uses a soft black Italian leather strap. More on this bracelet and strap later. 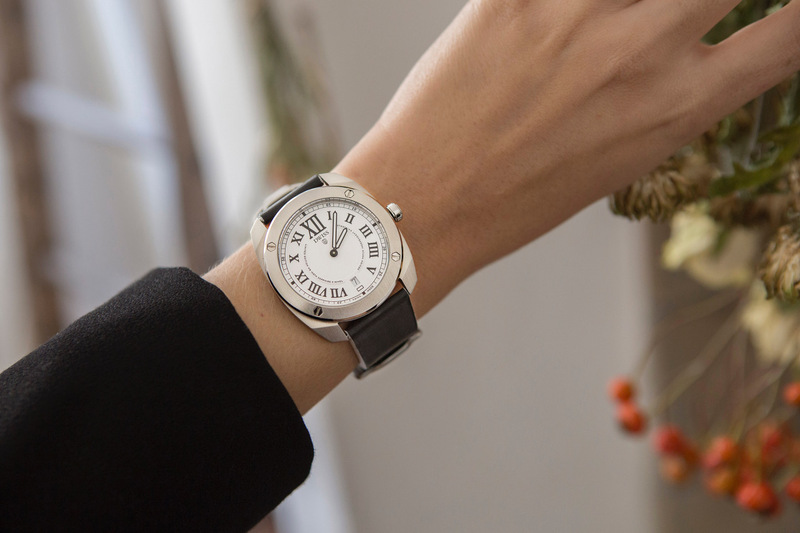 The cases on these watches measure 40mm in diameter. I measure the total watch thickness at 9mm, though the specifications say it is 8mm. I particularly like the sharply defined, turned down lugs. 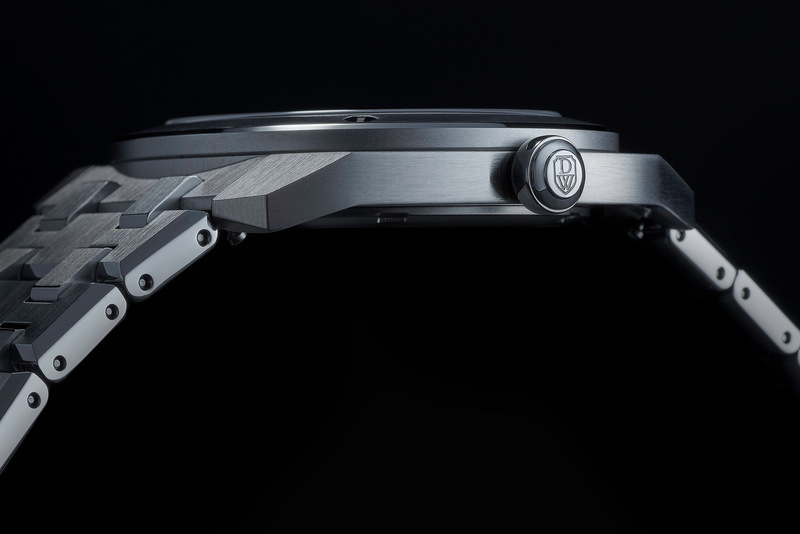 Lug width internally is 22mm and lug to lug is only 44mm, making these watches very wearable. 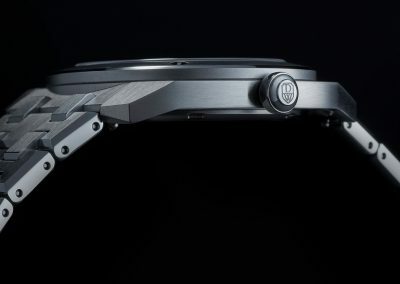 Externally the lugs taper from 35mm to 30mm in a design that I call angular cushion case with a signed, polished 3 o’clock crown that is a delicate and unique design. 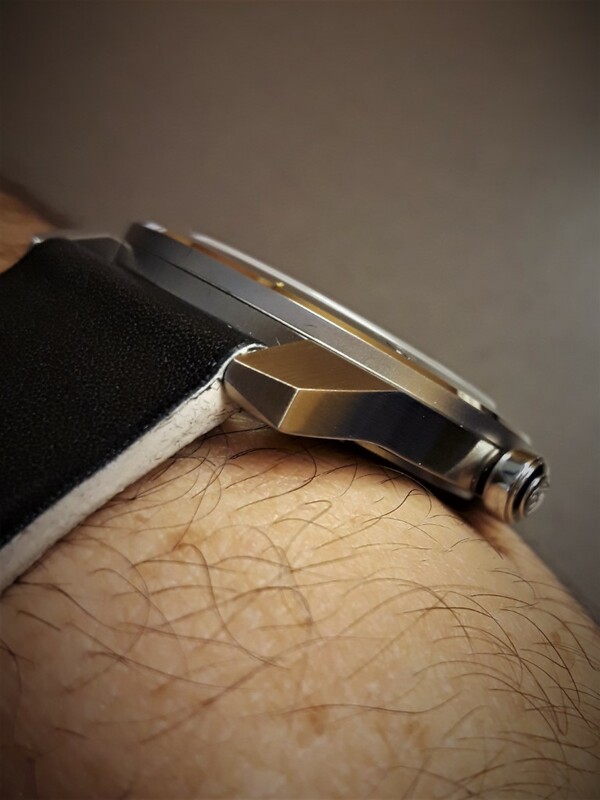 The RS1-SL-Quartz with a blue/gray face, has ten applied, polished, slightly tapered, thin indices with a matching 12 and 6 and a somewhat unusual black on white date window roughly at 3:30. 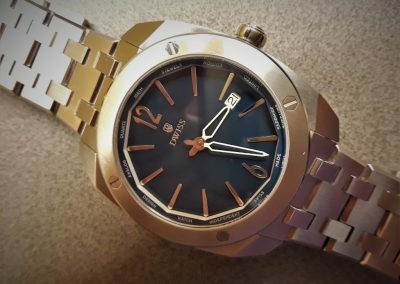 The face of this watch reminds me of the famous Bvlgari Octo, though the font of the 12 and 6 used on the DWISS is a bit different. 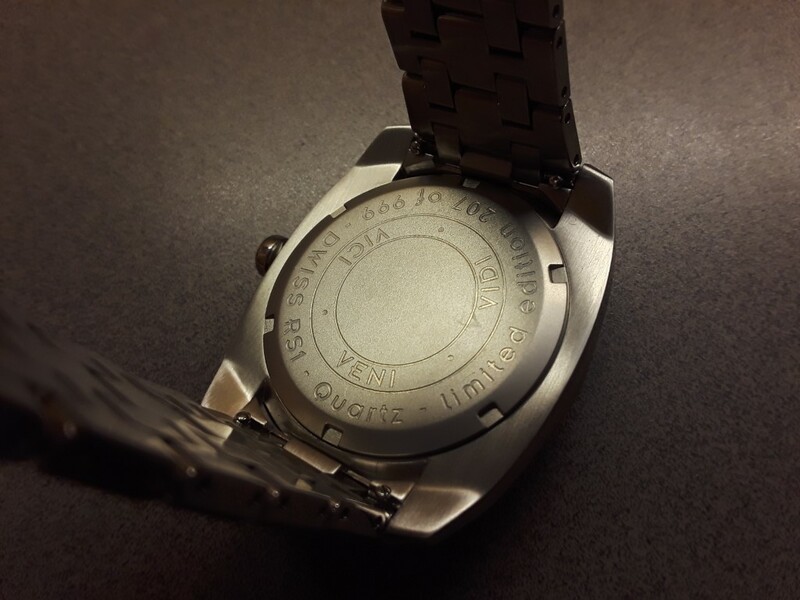 A raised inner dodecagon, matching blue/gray and white bezel has twelve words printed on it. 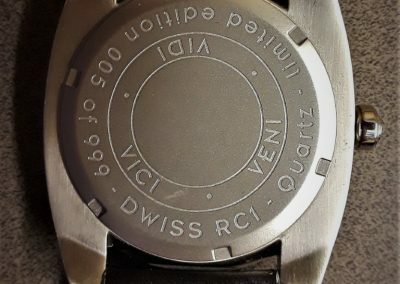 I have never seen a watch with this design detail. 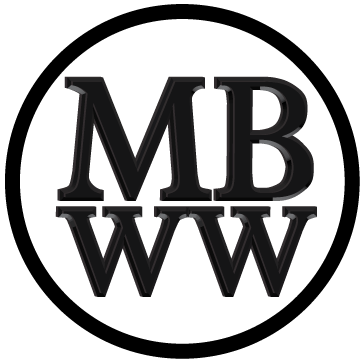 The white, skeleton, tapered obelisk hands are easy to read and appropriate to this design. 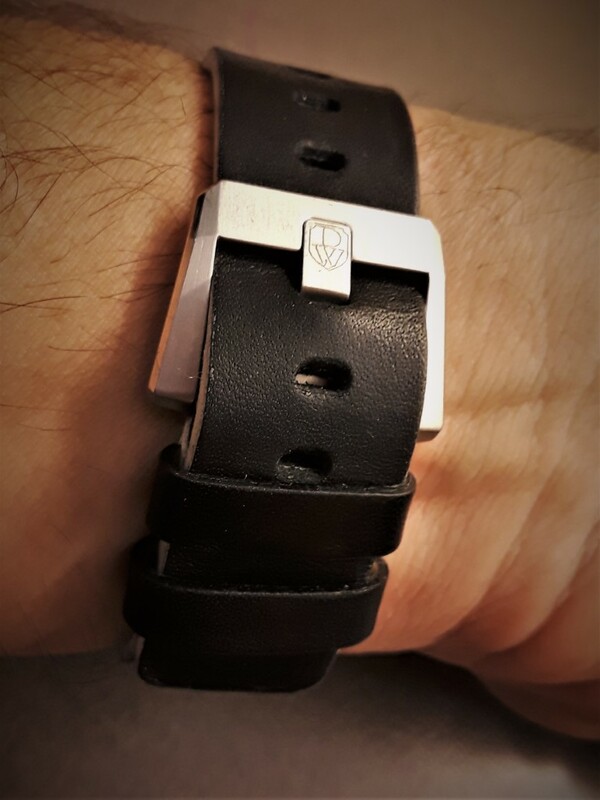 The 20mm stainless bracelet is beautifully finished with a solid, polished butterfly clasp and is precisely engraved with the company name and logo where the folding clasp closes. 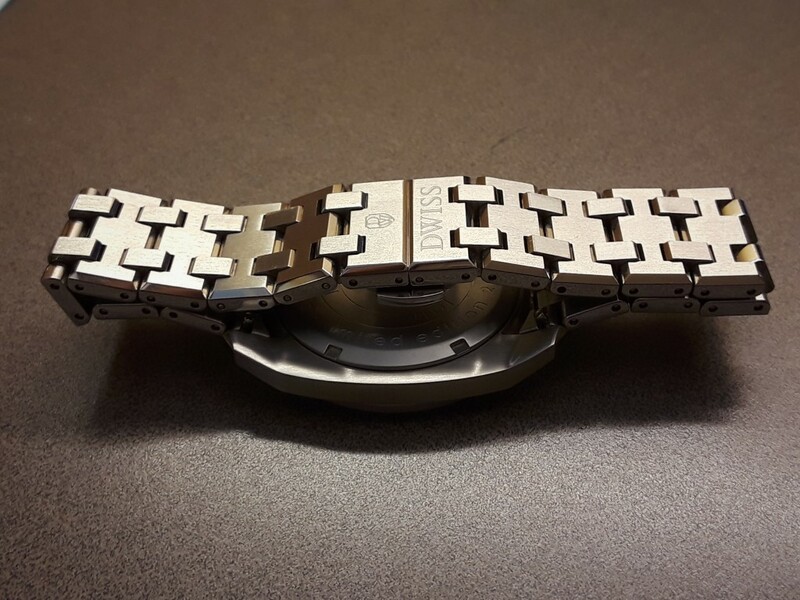 Each link is brushed with polished sides and polished beveled edges. Only the last link that attaches to the lugs widens to 22mm. 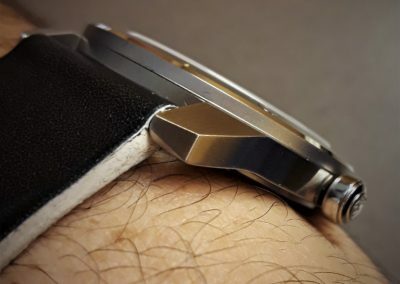 Even the small links that hold the bracelet together are polished on the ends. 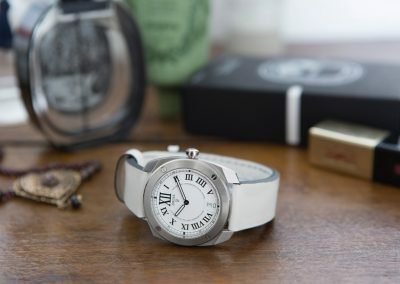 The RC1-SW-Quartz reviewed here uses a black, soft, Italian leather strap with a brushed and polished clasp and a carefully engraved, signed tang. The face of the RC1 is completely different from the RS1. 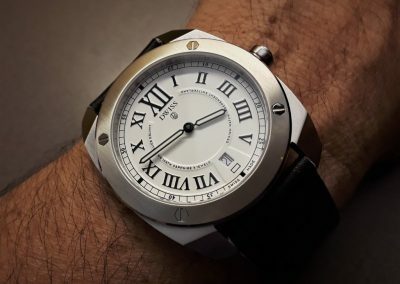 The RC1 has black Roman numerals on a porcelain white face with a larger XII and no VI, because the black on white date window is located there. The railroad track circling the dial has discrete numerals every five minutes, except for black filled blocks at 15, 30, 45 and 60 minutes. The white with black edged baton hands perfectly complement this retro design. 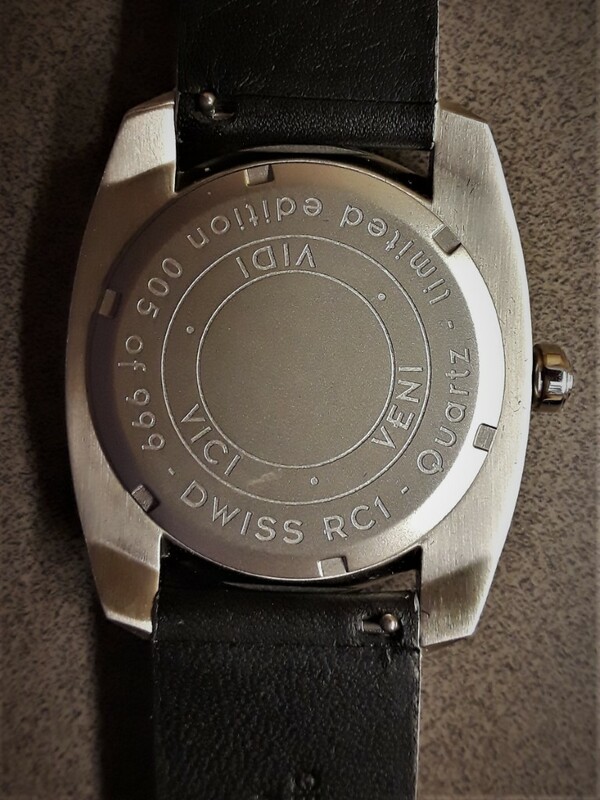 A inner circular black line of text gives information about the watch similar to what is on the dodecagon of the RS1. 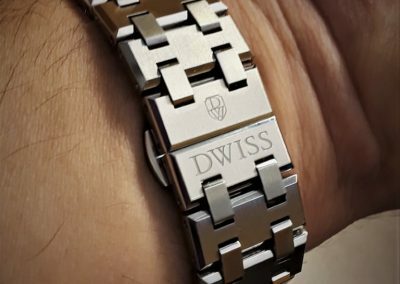 Both watches have the DWISS name and logo under the 12, but DWISS is printed above the logo on the RC1, rather than the other way around on the RS1. Here’s a few more shots of the RC1-SW-Quartz (top) and the RS1-SL-Quartz (bottom) provided by DWISS. 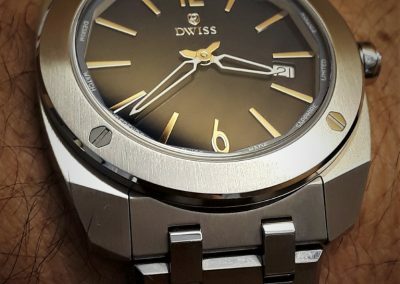 excellent piece really enjoyed it and I have to agree that DWISS are excellent I personally own 4 models and I have brought my wife a couple also which we both love it would be nice for Rafael & DWISS to get more coverage which i think they deserve however the watch industry from what I can see is very snobby and there are a lot more micro brands out there that deserve greater respect, all we can do is support them when a particular brand touches us! !